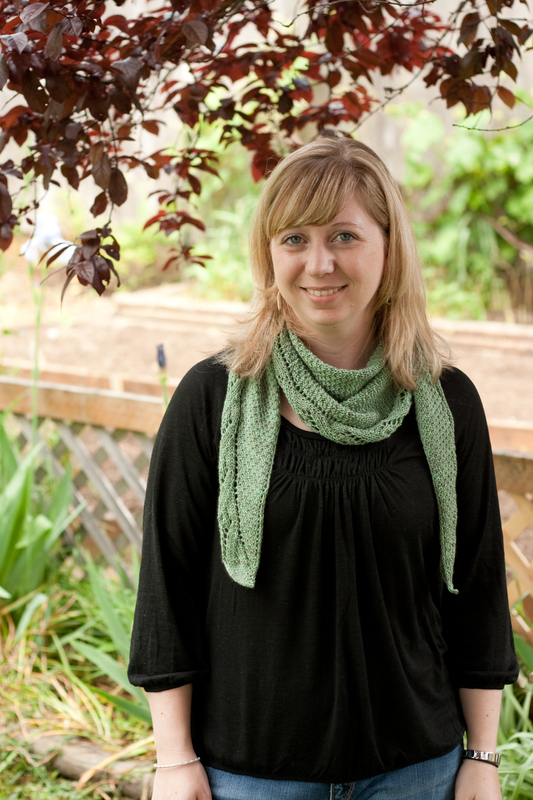 Second Installment of the Twisted Shawlette Club! 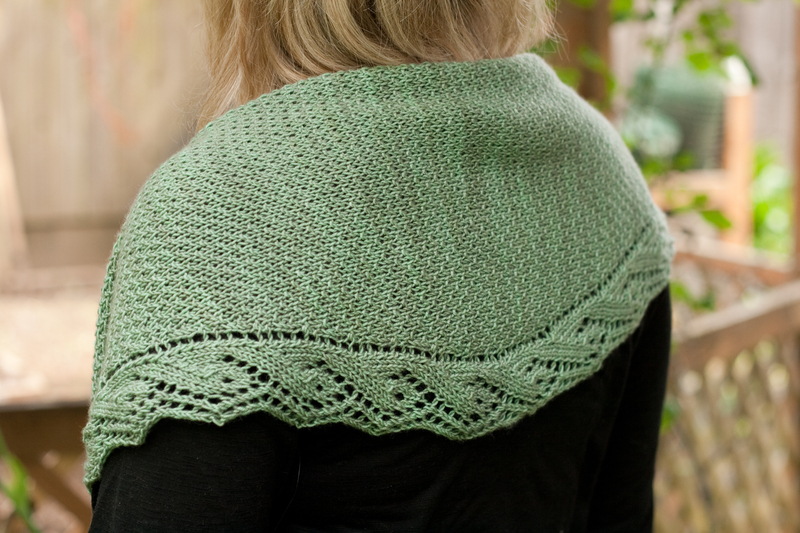 My goal with the Twisted Shawlette Club has been to knit each shawl before the next shipment arrives. So far, I’m 2 for 2! 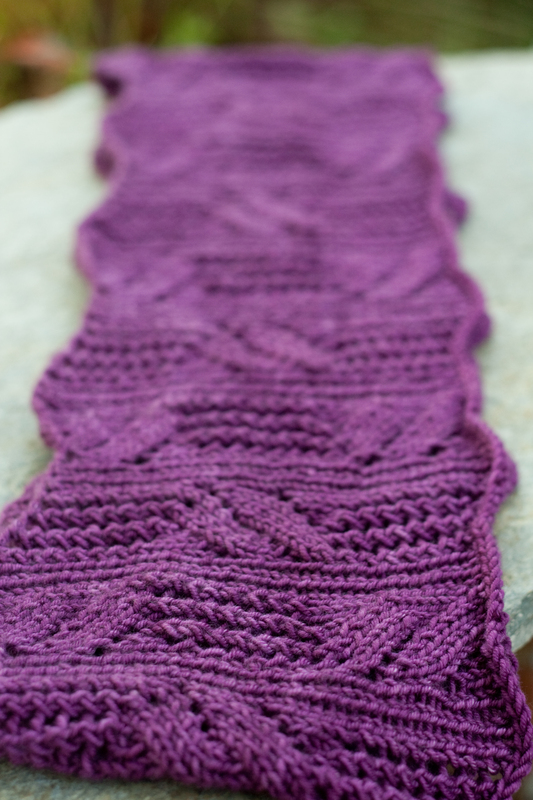 Viriditas is a scarf/shawl that is worked from end to end getting larger as you work your way to the middle and then getting smaller as you knit to the other end. It was a nice relaxing knit and even though I usually dislike knitting back and forth over a short distance, I really enjoyed this knit! And of course, the yarn was scrumptious. 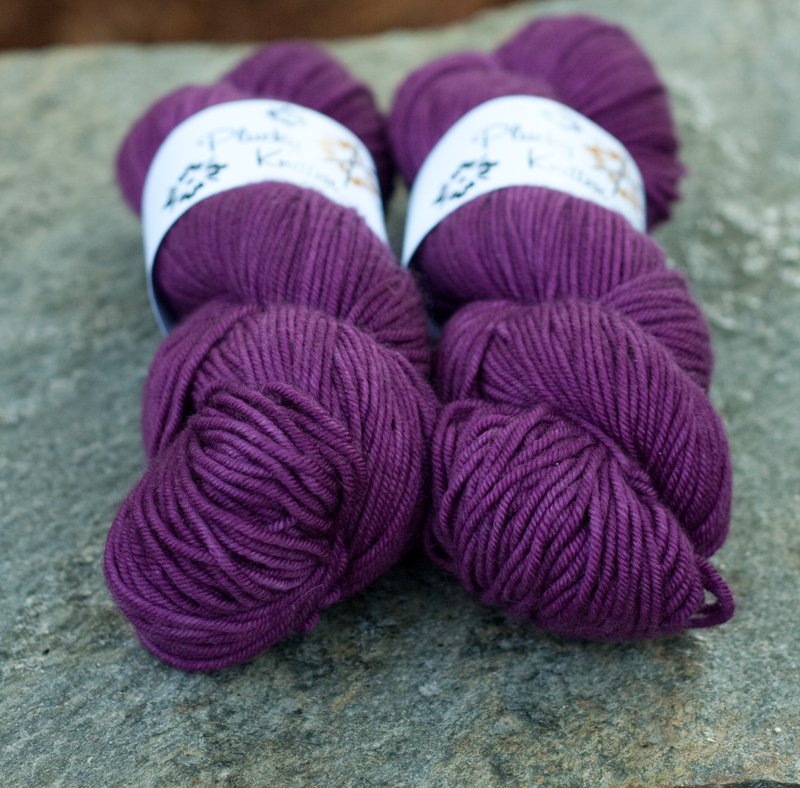 I haven’t met a skein of Plucky that I didn’t immediately fall in love with. The yarn line-up that Twisted has for this club is just incredible…I’m very much looking forward to the rest of the shipments! I cast-off the Viriditas shawl the same day as another project I’ve been working on for quite some time. 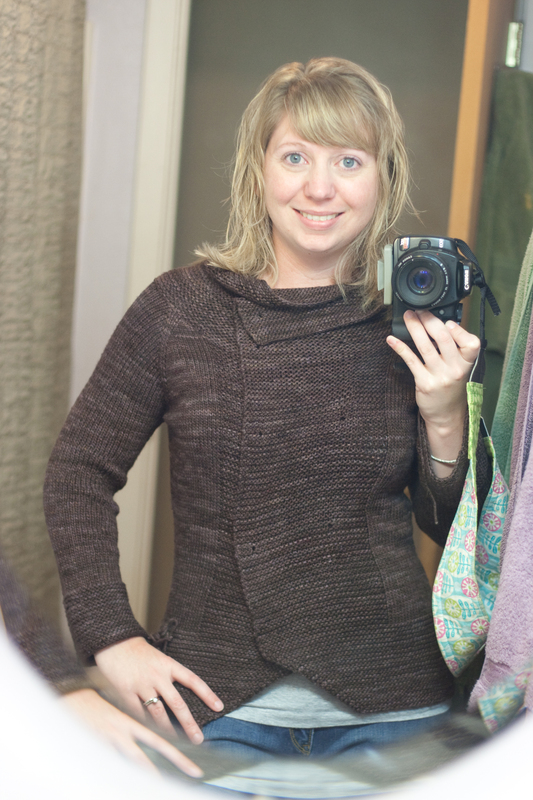 Unfortunately, it still needs buttons and the ends woven in…but I’m too excited about it not to share! I am beyond thrilled with how this sweater turned out! I have some buttons on special order at Stash, which I’m really excited about. I think they’ll be perfect. 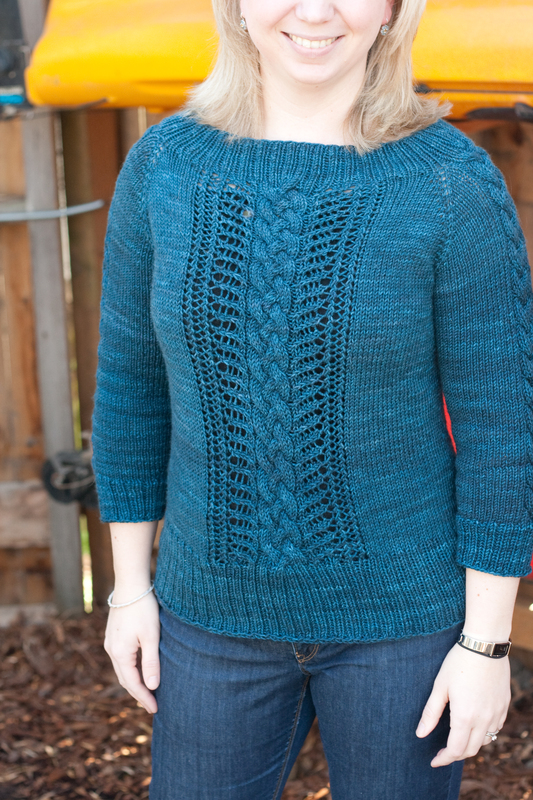 Of course, I have several other projects on-the-needles as well…including a hat in some Swan’s Island and a summer top for the Stash Summer KAL. Go check out my WIP Wednesday post over on the Stash blog! Modifications: My modifications were mostly based on my differing gauge and tailoring the pattern for my body. My gauge was 20sts/4 inches instead of 18sts/4″, so I went through the entire pattern and changed the stitch counts to accommodate for my difference in gauge. Instead of 3 waist decreases, I only did 2 and then did 2 increases for the hips instead of 3. I probably could have done all 3, but I didn’t want it to be too tight around the middle. For the sleeves I picked up a few extra stitches and made them about an inch shorter than the pattern called for. sigh. I’m in love with Plucky Primo. 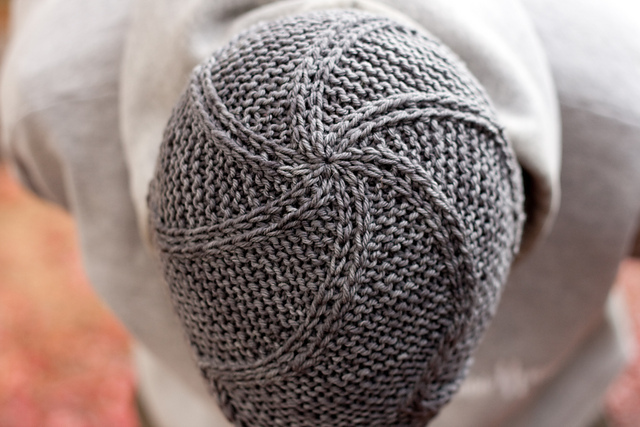 Primo is a merino/cashmere/nylon blend (75/20/5) that has amazing stitch definition and is totally cozy. 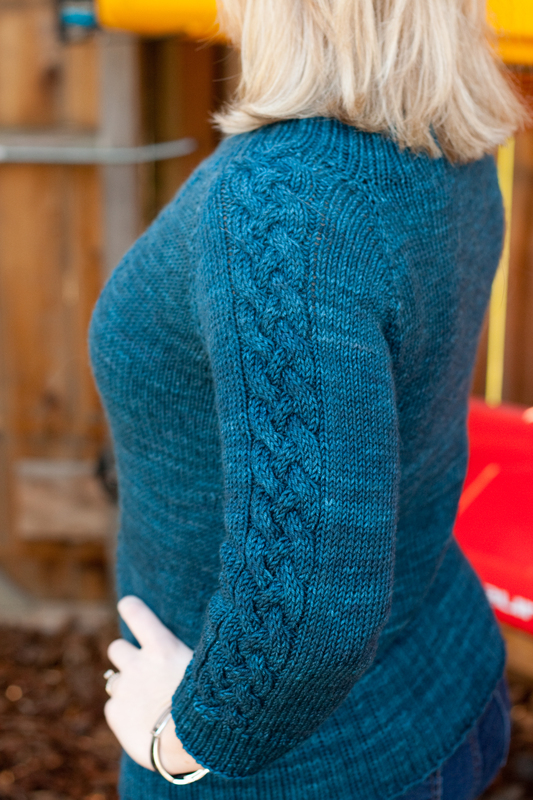 The cables really pop, which I love, and the fabric is perfect for a sweater. And of course, the color is gorgeous. I picked up this yarn during Sock Summit last summer and had been searching for the perfect sweater for months! Then, Julissa was published and I knew it would be a perfect fit. I did have a little trouble when I went to knit the sleeves. The 6 skeins that I had weren’t a perfect match, and I ended up ripping out about 6 inches of sleeve knitting because the skein I was using was obviously lighter in color. 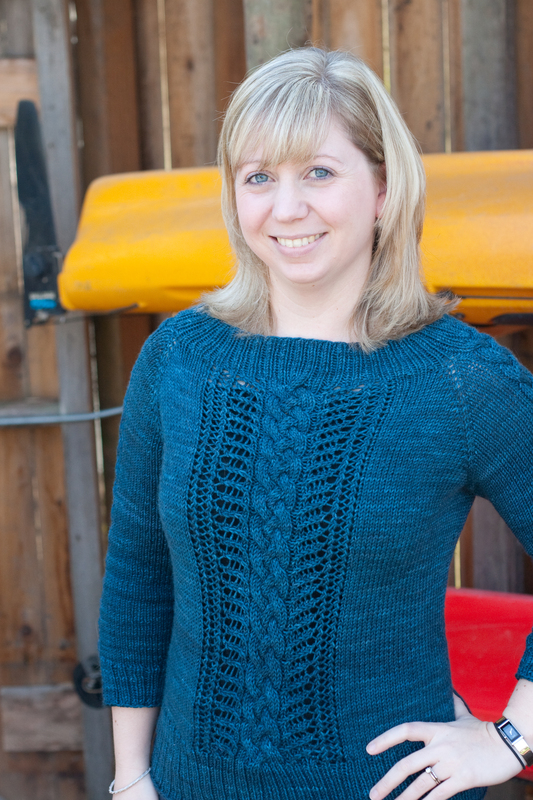 Thankfully, I knew I had extra yarn and would be able to finish the sweater without using that skein. Unfortunately, the sweater was put in the “time-out” pile for a while before I was able to move past the sadness of having to rip out several hours worth of knitting! But, it was well worth it in the end since I LOVE the finished sweater. The pattern was exceptionally well-written (as are all of Vanessa’s patterns) and had some really nice touches. One of these being that Vanessa left a spot for notes, which I fully utilized! Since I was doing a little math to change the stitch counts, it was nice to have a place right on the pattern to draw out a little diagram and plan my changes. She also had a good reminder about writing down which cable round you ended on before splitting for the sleeves! 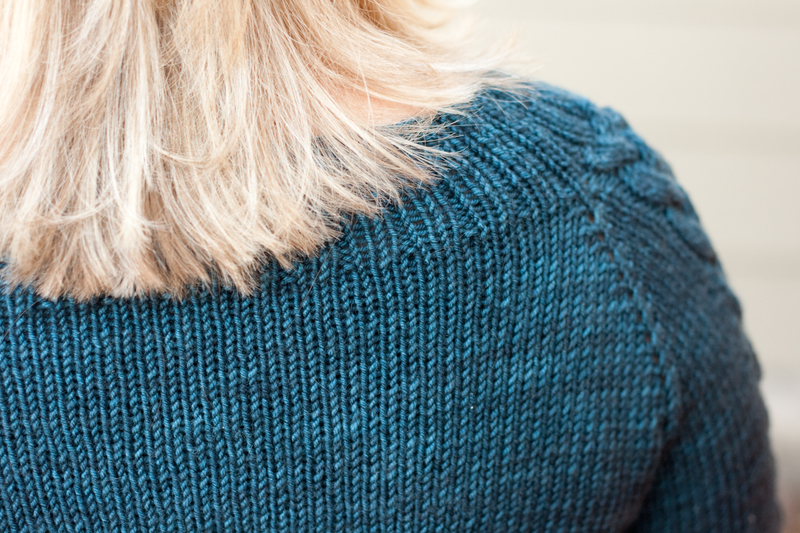 While I probably could have figured it out from reading my knitting, it was nice to have it written down so that I could dive right into sleeve knitting. 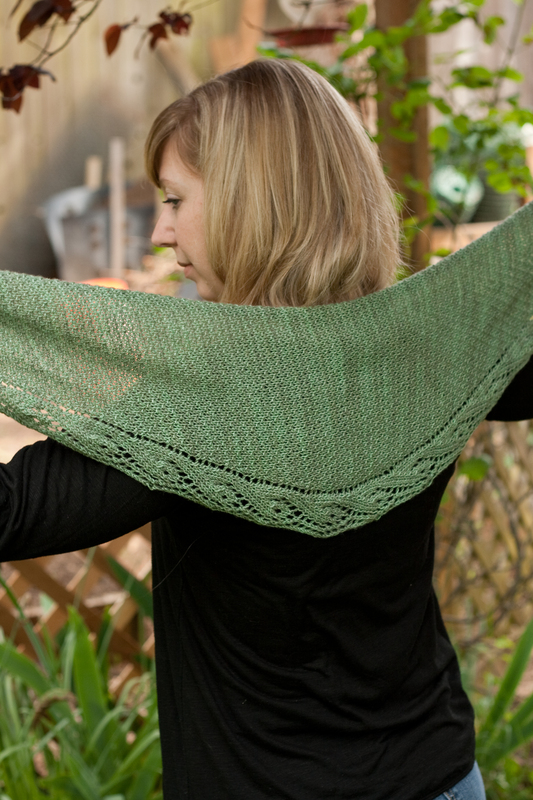 Vanessa has some really lovely patterns, and I’ll definitely be knitting more of them! I honestly couldn’t be happier with this sweater! This year there were quite a few hats on my Christmas knitting list. 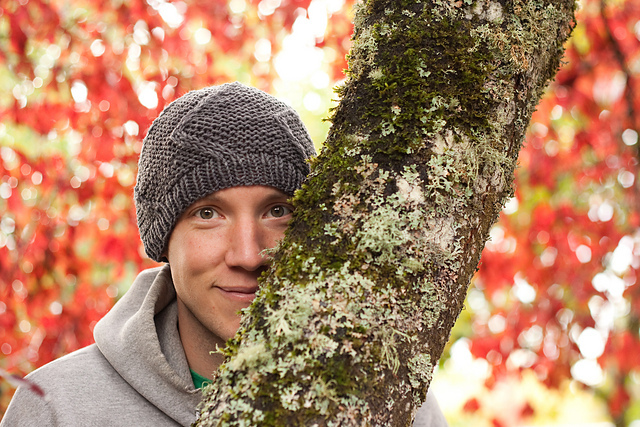 Hats are relatively quick to knit and really, who doesn’t need a hand knit hat for the chilly weather? One of my brother-in-laws lives in NYC and the other (and his wife) love to ski…so I thought hats would be the perfect gift for them. Modifications: None. I actually managed to knit two of these (one for each brother-in-law) out of one skein of DIC Classy, which is fantastic. 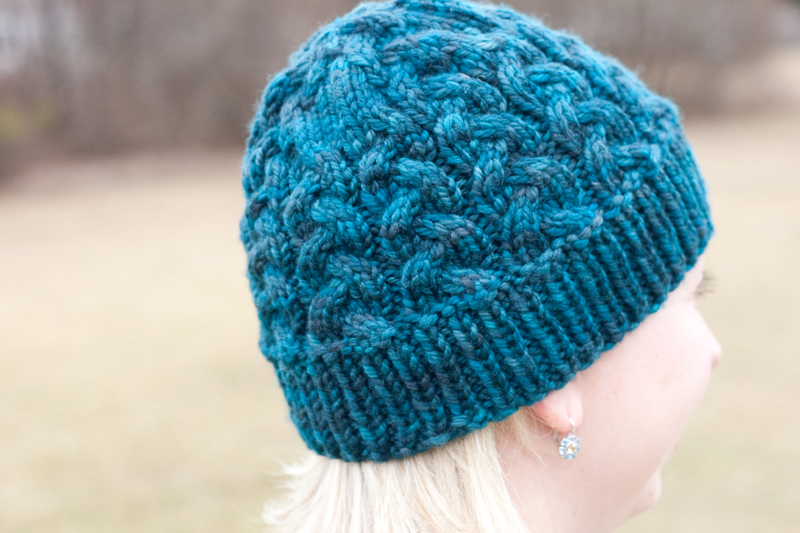 The pattern is easy to follow and the resulting hat is a great mens or unisex hat. It knit up very quickly, which is always a bonus! I love the way the crown decreases look! I really can’t say enough great things about the book Weekend Hats. This was my first knit from the book, but then I went on and knit the Leaves Long Beanie as well. 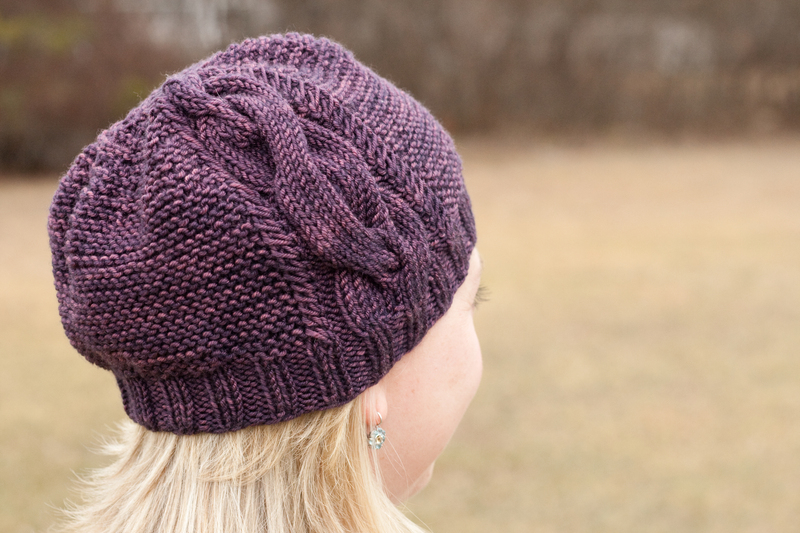 There are a bunch of other patterns from the book that are on my short list of “hats to knit soon-ish”! Now onto my sister-in-law’s hat! Modifications: None. 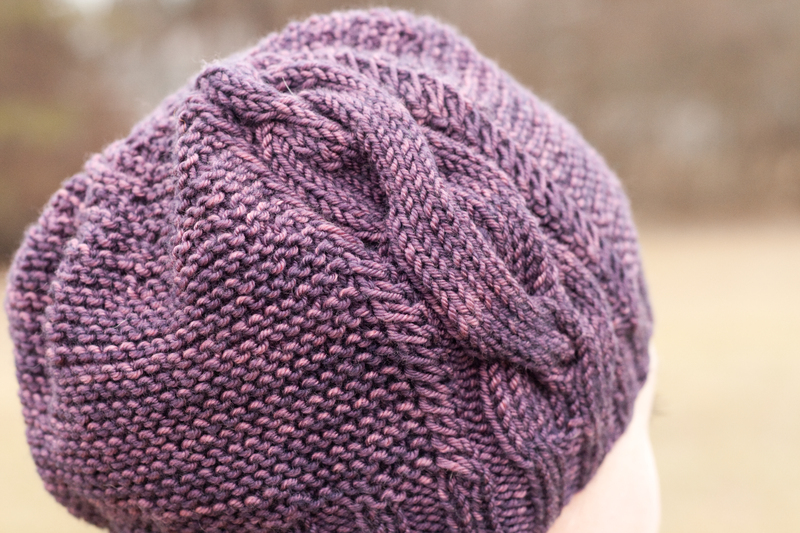 The Sweet Georgia Chunky was a dream to work with and looks fantastic in the cable pattern of this hat. 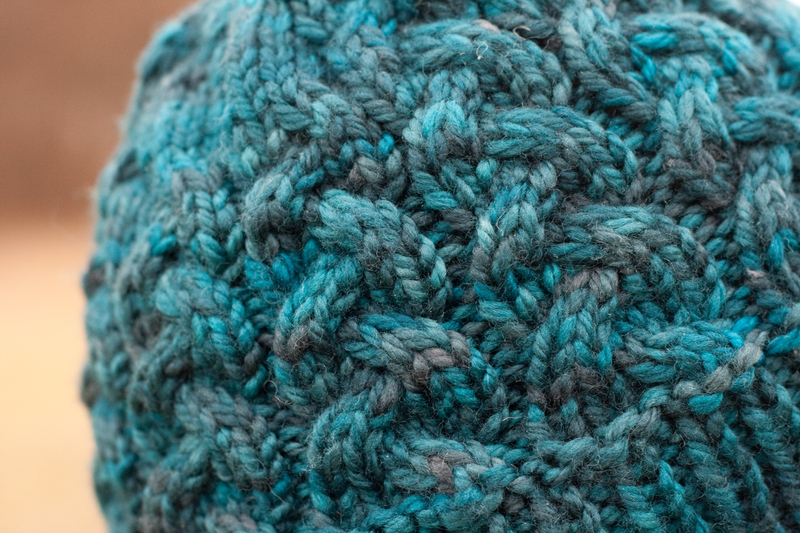 The yardage is generous and I probably had enough leftovers to do a pom pom or ear flaps (so in other words, one skein can get you a cabled, ear-flapped hat if you so desired!). This hat will definitely stay on my “last minute gift” list…I had at least two people try and steal it before I could send it off (I’m looking at you Aimee and Teena!). The Sweet Georgia color palate is just to-die-for. 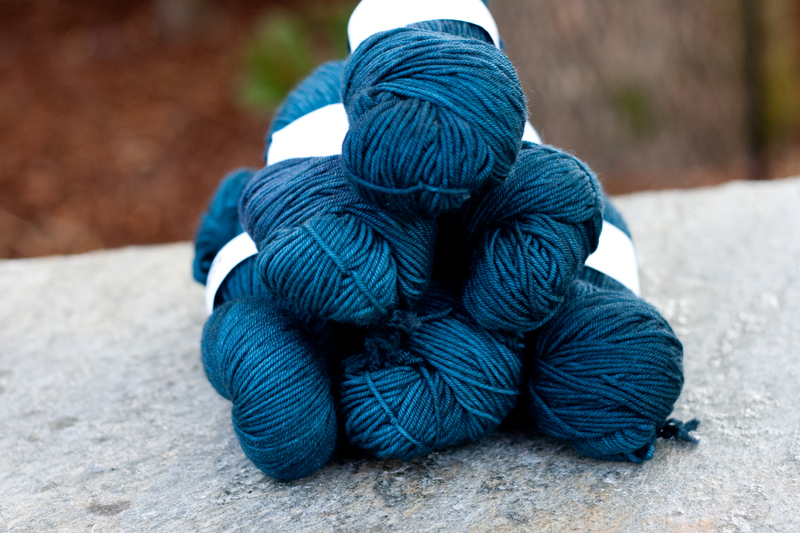 When the shipment of the Sweet Georgia Chunky came into Stash, I drooled over all of the colors but was particularly drawn to Riptide. 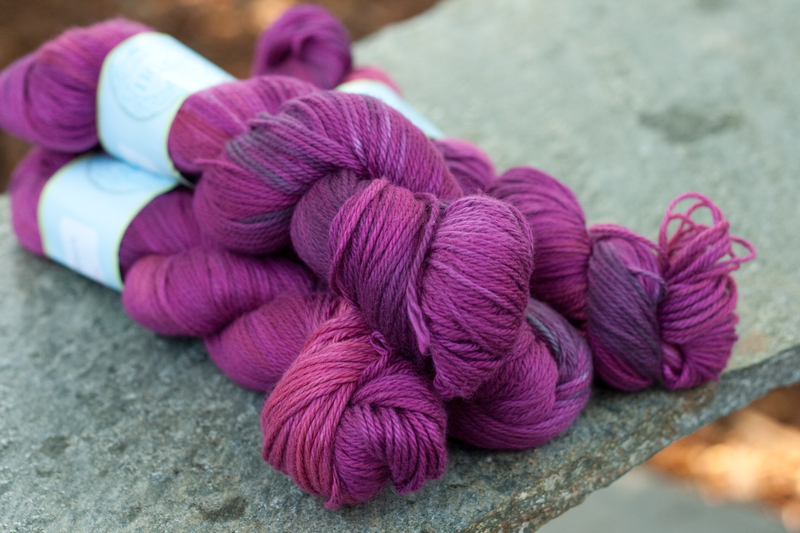 Thankfully I was able to snag a skein before they all sold out! 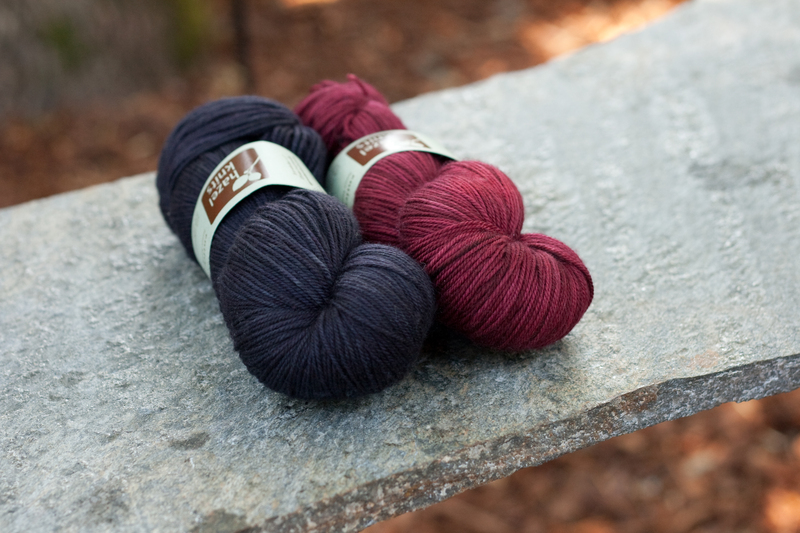 There are plenty of other gorgeous colors, too, but for some reason Riptide called to quite a few knitters! Mods: None! I followed the instructions for the shorter/less slouchy version of the hat. I have to admit, this was a tough hat to part with! Thankfully I have plenty more of the yarn in the same exact color and I’ll definitely be making myself one in the very near future. How gorgeous is that humongous cable?! And I love the detail of the two smaller cables on either side of the larger one. And in Plucky Primo? A match made in heaven, I tell you. I hope you all had a wonderful holiday weekend! I know we sure did. Unfortunately, something happened to the memory card in my camera and I lost all the pictures I took yesterday of our Kenyan/Polish/Swedish Christmas dinner that we shared with some good friends of ours! I’ll be back in a few days with some more Christmas gift knitting! It didn’t take me long to decide on a pattern, and it was a perfect small-ish project to work on between sweaters. Modifications: I added 1 pattern repeat (24 stitches) when I cast on because I wanted it to be slightly longer than the pattern called for. I like to be able to wrap the cowl twice, but still have it hang down a bit. The pattern was really well written and it was easily memorized. 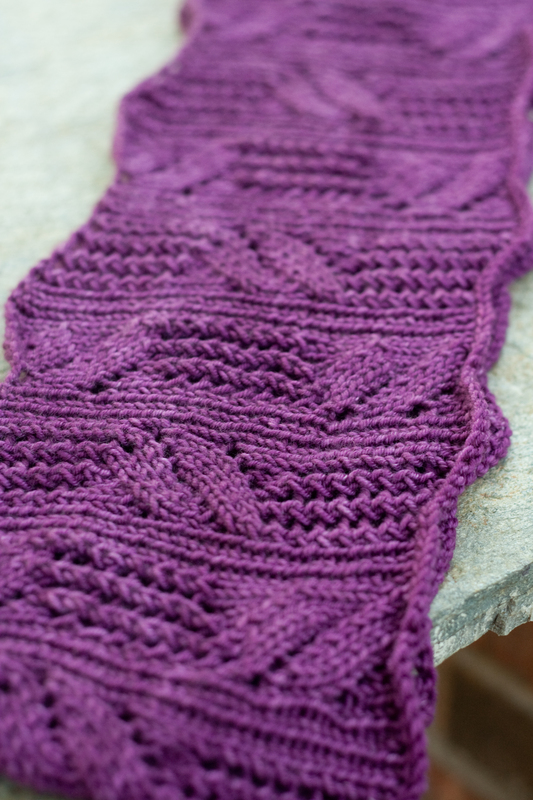 It was very intuitive and after only a handful of rows, I was able to knit each round without looking at the pattern. 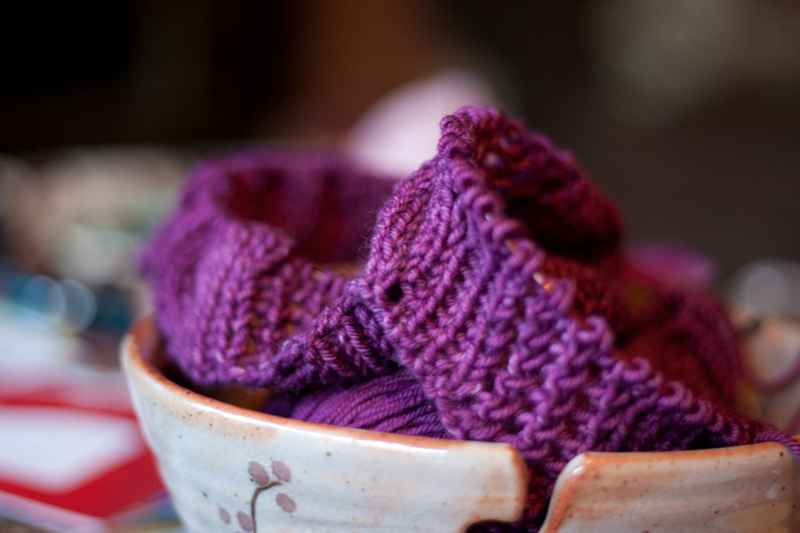 The resulting cowl is really wearable and just plain cozy (except when it’s 90 degrees outside…). 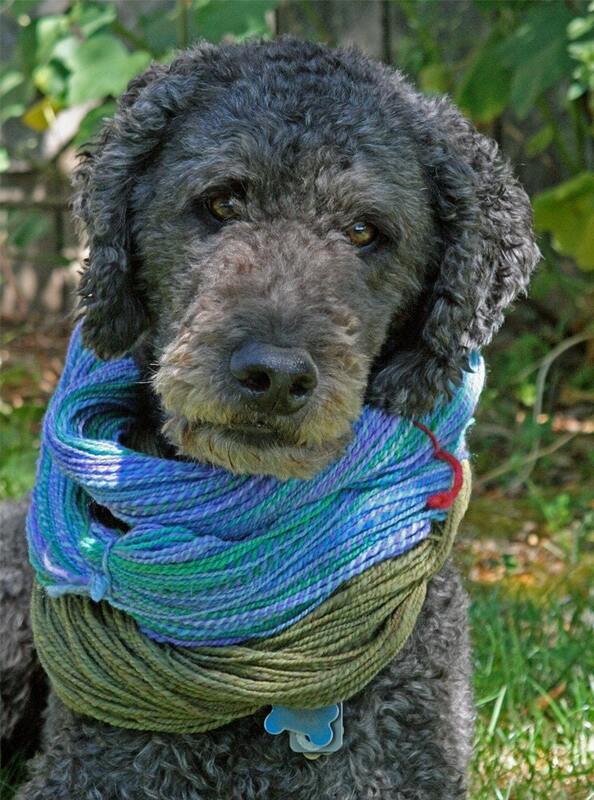 The Plucky Primo was a dream to knit with. Seriously, this stuff is awesome. Of course, it doesn’t hurt that it’s 20% cashmere and that the color is stunning. 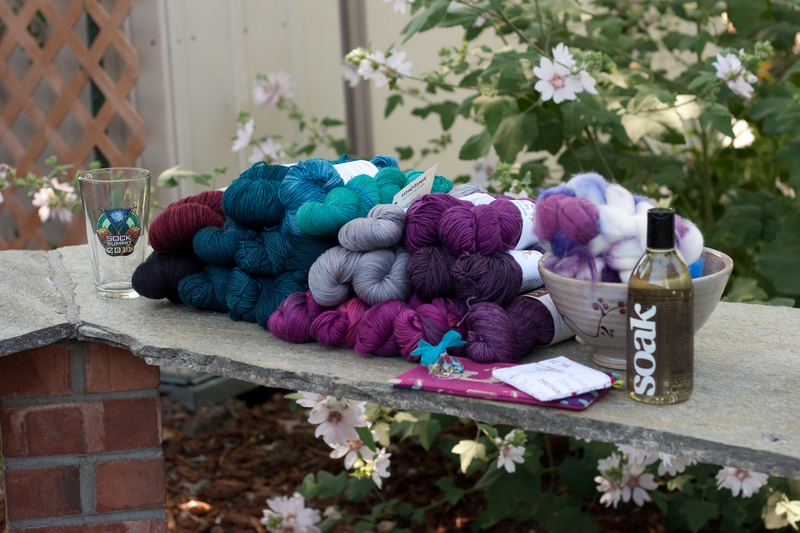 I know I keep saying this…but I could have dropped a fortune at the Plucky booth at Sock Summit. I was hoping to have some sewing to show you today, but it was just too hot to do much today. I wove up some really beautiful variegated yarn the other day, and I’m planning on sewing it up into a few kindle/nook cases for the shop. 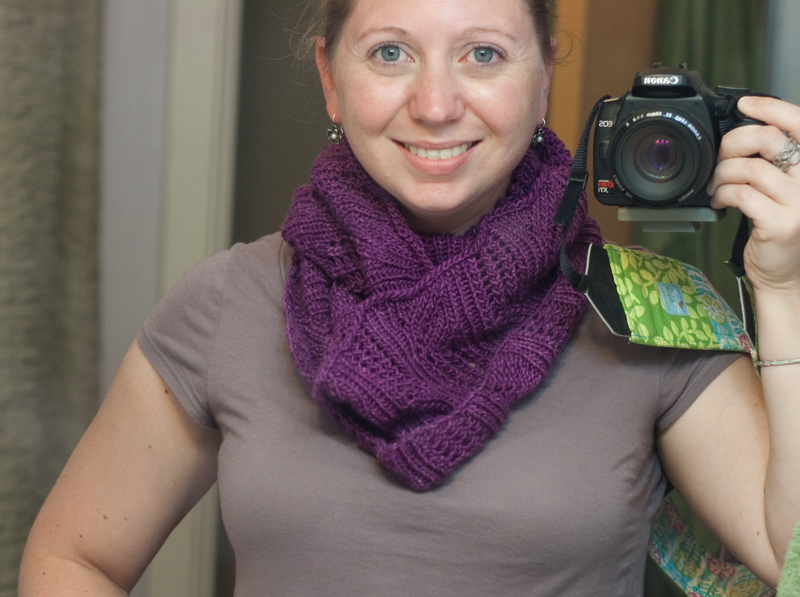 It was supposed to be a scarf….but more on that when the e-reader cases are done! I mentioned a few posts back that we have more green beans than we know what to do with. 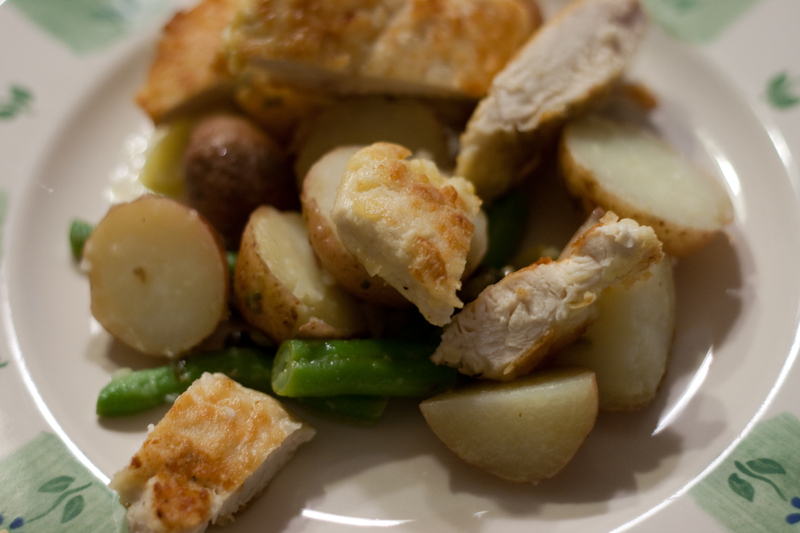 Well, tonight I was determined to use up a good chunk of them for dinner and made a favorite Rachel Ray recipe of ours. I know…it doesn’t look like many green beans are in there, but I assure you they were hiding. I skipped the parsley in the recipe, but there are capers…also hiding. It’s such a great summer recipe. I ate mine hot, but it’s just as good cold and straight out of the fridge. Or at least that’s what Seth said when he got home from work tonight. I cast on last night for a Vine Loop in some Plucky Knitter Primo Worsted, and it. is. awesome. I’m so glad I had the opportunity to purchase a sweater quantity during Sock Summit. It was nice to be able to see all the colors in person and pick out exactly what I wanted. And of course, I ended up with the two skeins that I’m using for the Vine Loop and 2 other skeins as well. The Cotton/Bamboo yarn has a wonderful drape and sheen to it. I haven’t posted much about our garden this year, but we have a whole bed of goodies planted in our neighbor’s yard (she’s not using it and offered to let us use it!) which are doing FANTASTIC. Last year we tried to grow pumpkins and our lone pumpkin plant didn’t do very well. So we decided to buy a couple of starter plants this year and put them next door since they take up so much room. Well, wouldn’t you know it…they just took off and are growing like crazy. 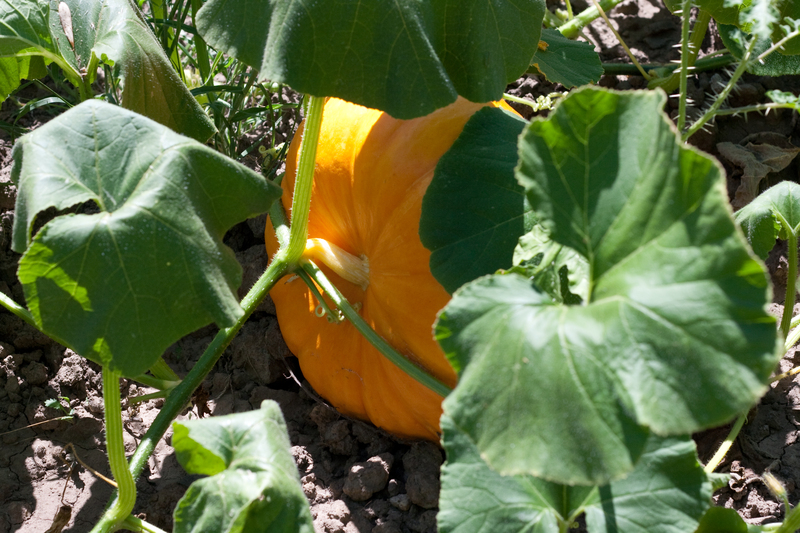 We have about 5 decent sized pumpkins out there, which is MORE than enough for us! Pay no attention to the droopy leaves! It was hot today, and I took this right before I watered! 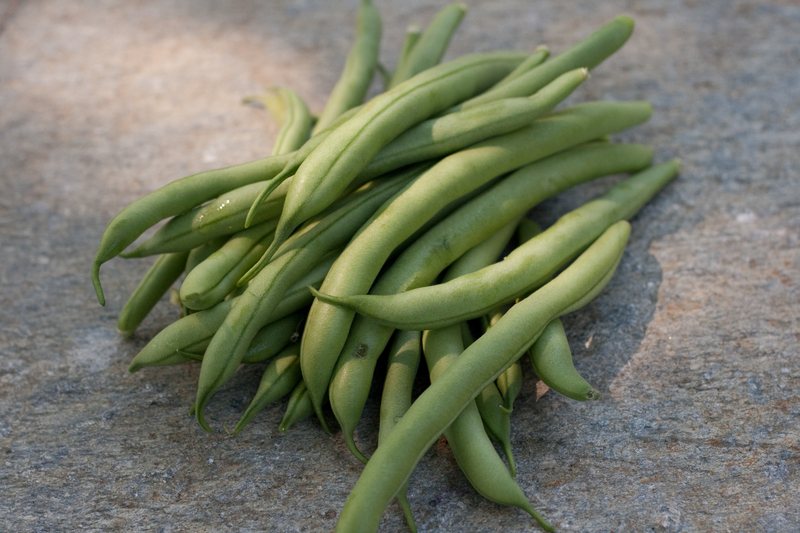 I also planted a whole packet of green bean seeds next door in addition to planting 2 starter green bean bush plants. The seeds took forever to germinate and I didn’t think they were actually going to come up. A couple of weeks after planting them, a few of them came up all in one spot. So, I thinned them out and moved the extras down the garden bed a bit. Then all of a sudden a week later there were green bean plants EVERYWHERE. There are at least dozen plants, at all different stages. The two that I planted as starter plants have been producing green beans for a couple of weeks and I can hardly keep up with picking! Every time I think I’ve gotten them all, I see a few more. I’m thinking we’re going to have to freeze a bunch once the other plants start producing beans! The veggies over in our yard are doing okay. We have tons of tomatoes, but they have yet to start turning red. A couple of our pepper plants are doing well, and so is the lettuce. Unfortunately, our zucchini keep dying before they’re large enough to pick…but I added some garden lime with calcium, so I’m hoping it’ll turn around. I really enjoyed being able to pull a bag of shredded zucchini out of the freezer and make zucchini bread during the winter months! Well…I think that’s it for now! I’ll be posting some shop update previews tomorrow, but for now…back to the Plucky Primo!